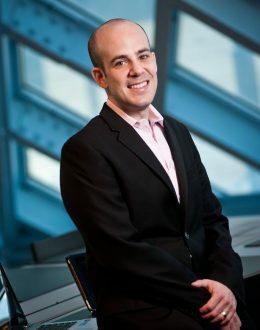 Scott Steinberg is one of the world’s most celebrated futurists, and strategic innovation consultants, as seen in 600+ outlets from CNN to The Wall St. Journal, and the author of Make Change Work for You: 10 Ways to Future-Proof Yourself, Fearlessly Innovate and Succeed Despite Uncertainty. The CEO of TechSavvy Global, management consulting and market research firm. He has been a syndicated columnist on change and innovation for numerous outlets ranging from Fast Company, Inc. and Entrepreneur to Rolling Stone and The Huffington Post. An acclaimed entrepreneur who’s built and sold several startups and divisions, recent works include Becoming Essential, The Crowdfunding Bible, Teaching Technology and the bestselling Business Expert’s Guidebook. His motivational speeches, leadership seminars and training workshops are renowned for demonstrating thousands how to become more successful and effective in their life and career.